Love Smart Bottoms? Enter to win a 'What the Cluck?' 3.1! 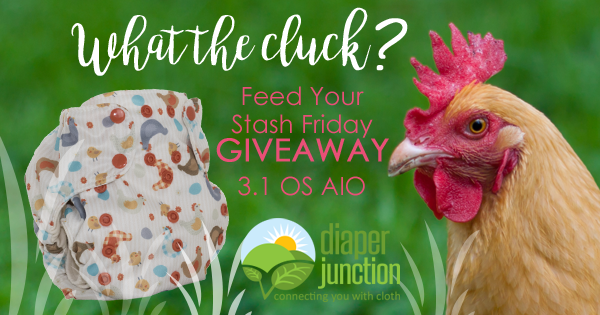 3/24/17 FYSF, Win a Smart Bottoms What the Cluck 3.1 OS AIO Diaper! Smart Bottoms new spring prints have just stocked and this week we're giving you a chance to win one! One lucky Diaper Junction fan will receive a 'What the Cluck?' Smart Bottoms 3.1 OS AIO! The Smart Bottoms 3.1 OS AIO is a popular one size cloth diaper with a semi-attached organic cotton tongue style soaker. The 3.1 features snap closure, adjustable rise snaps and adorable prints. To shop our NEW Smart Bottoms Spring Collection prints please click HERE. I love this! I have chickens so I will probably end up buying this ?? I want to win a what the cluck in 3.1 because it is such a fun and cute print! My toddler loves "bok bok's" (chickens)! He's adore this diaper. love that there are so many themes and choices to choose from! Lol... I don't know which one I like better -- the name or the print ! I would love to win one because we keep chickens and are expecting our second (a boy this time) and need some more gender neutral diapers. I also love the trimmness of 3.1's. Thanks for the opportunity!!!!! I want to win this because it is adorable and I need more diapers. I love this diaper! I have chickens and would love a diaper with chickens on it. I would love this in a 3.1! My kids' grandparents have chickens and they'd love to see their little brother in a chicken diaper. My son would love this- he loves chickens! Our Last name means chicken by a mountain.. thanks for posting this cluck print. We need everything. We are expecting an April chicken/ baby its a great easter event egg/ chicken hunt. Please enter us to win. I would love tí win this giveaway ti finally try out SB diapers! My daughter is finally letting us announce she and her husband are expecting their first child in October, and she is already stocking up on your products! 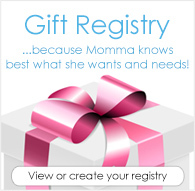 We are all so excited and I just bought her some inserts today from your site. This pattern is so cute!! I love this print, especially the gingham! I'm buying this diaper. I must have it. IT HAS CHICKENS ON IT DID YOU SEE THE CHICKENS. Thanks for the chance to win this!!! I love this brand and this line up is awesome! Because I always wanted to raise a chickeeeennnn ???????? I would love to win this giveaway, especially chickens! Such an adorable print! We love chickens in this family! I love the chickens and the name! I love this diaper! It would be perfect for Easter! My cloth diapered baby is the special chicken-helper in our house! He would love this diaper! I'd love to win this because I know my husband would get a kick out of the name of this diaper ;)! Even hubby wants this diaper!! I NEED this diaper! We're getting our chickens this year, so my son can wear this when he helps me take care of them! ?? I would love this print! My little guy is learning his animals and their sounds. Thanks for the giveaway. I would love to win this! I think my little guy would look adorable wearing it! This is such an awesome print would LOVE to win! I'd like to win because this is such a fun print. Chickens? I mean that's just too original and fun! I'm still trying out cloth diapers so would love to try Smart Bottoms! Gonna need more chickens cluck cluck? I would love to win this for a sweet spring diaper for our March baby! I would love to win this diaper because it had the cutest little country chickens on it. They are adorable. I'd love to win this diaper because the print is adorable and my favorite brand is Smart Bottoms. Perfect for Easter too! My grandson is starting to copy animal noises. He would love this - cluck, cluck! Love this... My maiden name means Rooster in German so this is close enough to tell baby about her roots ?? I'd love to win this since my kid is going to be born this year, which is the Year of the Chicken. I want this print so bad! My son loves the chickens at his grandparents house! I'd love to win "what the cluck" bc 1. the name sounds very familiar to something I say atleast 30x a day lol & 2. bc smart bottoms are my 2nd favorite diaper. I have chickens, too so I'd love to win this! We have over 100 English Orpington chickens, this is perfect! I love this name! ?????? I also LOVE the 3.1 diaper! My stash is really small, and this one is so cute! I would love to win this diaper because we have been raising chickens since last spring and my daughters would be so happy to wear this! I wish I could buy it but have to adult the next couple months. Thank you for a chance to win one! We would love this diaper because we love to go to the farms and see the chickens! My little girl would ask to wear this every night. I'd absolutely love the opportunity to win this beauty for our soon to be adopted son ?? We are a lover of all farm animals and the farm life. It's the cutest print and perfect for his easter basket! This diaper is too cute! What a fun cute print! We'd love to win this!! First because my LO loves chickens and also because we love SB!! Chickens are amazing and the name of this diaper rocks my world!! this is just too cute...i have 7 babies coming ...i will need diapers for three ...my hisband will blow his top. Because chickens are cute! And I have heard good things about the Smart Bottoms 3.1s. :-) Thank you! My son loves chickens so he'd love this diaper! This is probably the best print out there right now! We have 13 chickens and love everything about them! We can't wait for our son (currently 1 month) to be able to see our chickens and to interact with them and help feed them. PLUS, I don't currently own a Smart Bottoms diaper, and would absolutely love to try it out by winning! I would love to win this diaper because I have not tried a Smart Bottoms 3.1 OS AIO yet. I heard they a really awesome and this print is so cute too. i'd love to get this print as it looks so adorable paired with the other 2 prints, mabel and mason for pics.. already planning for pics for 3!! This ia thw cutest print ever. I would love to win this because it's adorable!! I've always wanted to try a Smart Bottoms diaper!! I've heard great things. This print is so beautiful, and I love the play on words. I want to win because I Love Chickens!!!! I'd love to win this diaper. The pattern is so cute! I would love to win this 'What the Cluck?' Smart Bottoms 3.1 diaper because the pattern is SO stinkin' cute! I love the print on this diaper! And the name too. Would love to win because I've only tried one Smartbottoms diaper before! I'd love to win because my sister who has chickens would love this Diaper!! Thanks! My mom raises chickens and she would get a kick out of her grandson wearing this! What a fun diaper!!! I would even wear it myself!! !